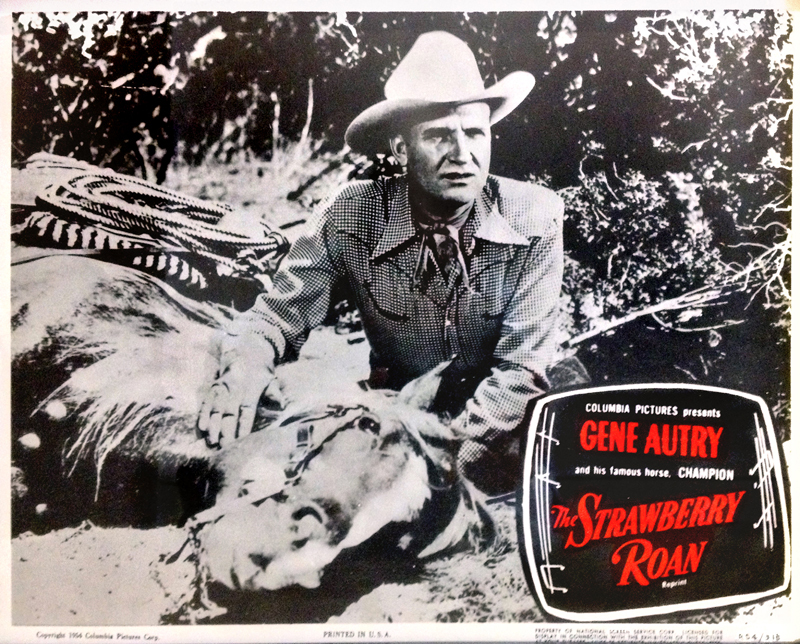 SCVHistory.com LW2327 | Film-Arts | Lobby Card: Gene Autry in 'Strawberry Roan' (1948). Gene Autry in "Strawberry Roan"
A Columbia Pictures Corp. release of a Gene Autry production, directed by John English and starring Autry and his horse Champion. Also featuring Gloria Henry, Jack Holt, Dickie Jones, Pat Buttram, Rufe Davis, John McGuire, Eddy Waller and Redd Harper, with Sam Flint, Jack Ingram, Ted Mapes and Eddie Parker.